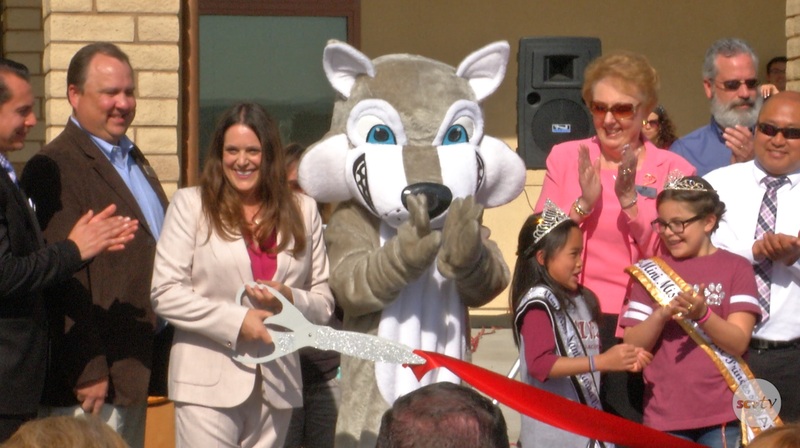 West Creek Academy students and faculty, along with SUSD officials celebrated a brand new, two-story building on the West Creek Academy campus with a ribbon-cutting ceremony on Tuesday, April 10, 2018. The two-story building is home to classrooms, music rooms, and science and computer rooms. During the ceremony, students performers demonstrated their skills in singing, drumming, and piano playing; district officials and school administrators spoke to an audience of students, faculty, staff, and administrators about the new building. Watch the full ceremony above.